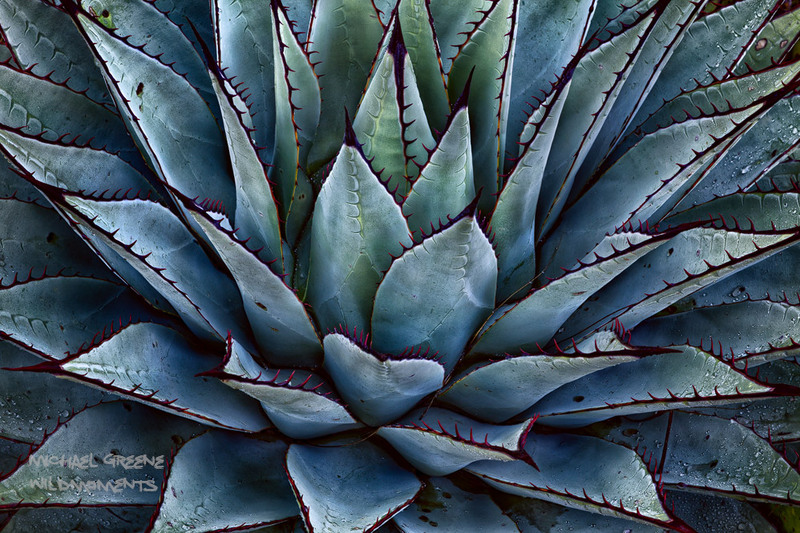 I stumbled upon this picture-perfect specimen of an agave while hiking along El Capitan trail. On my return route, the skies open up and in started pouring rain. Carrying an umbrella I spent about 15 minutes photographing abstracts of this gorgeous specimen. The Guadalupe Mountains are located in West Texas. Photo © copyright by Michael Greene.